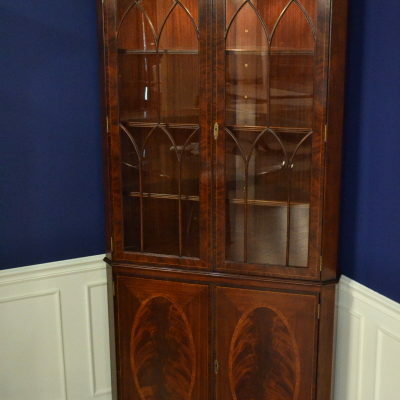 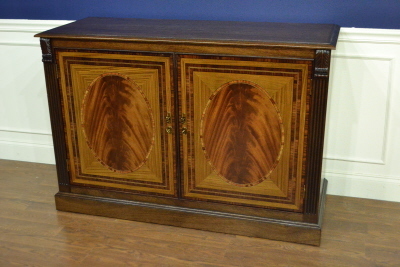 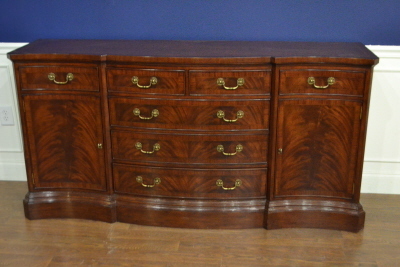 This buffet features a serpentine-shaped front with swirly crotch mahogany drawers and doors. 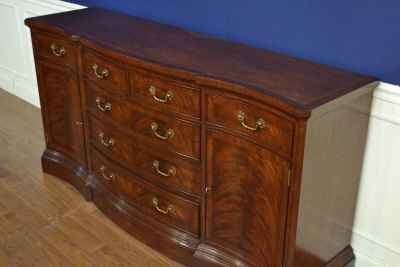 The drawers are oak lined and dovetailed. 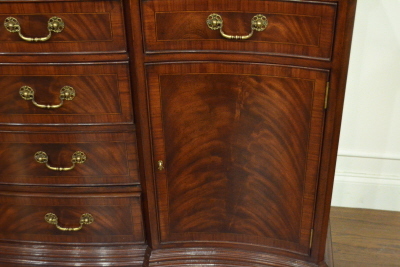 The drawers and doors have soild brass hardware. 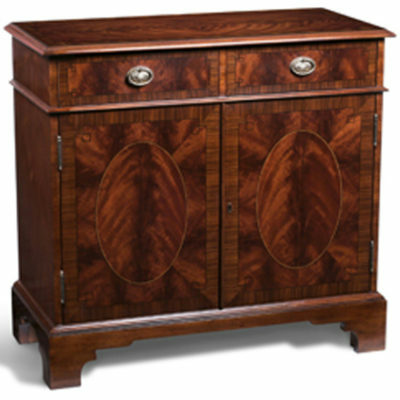 Dimensions: Height: 36 in., Width: 72 1/2 in., Depth: 19 5/8 in.